Gain exclusive access to a club lounge with unparalleled panoramic ocean views paired with incredible service in your tropical paradise. Exclusive to club guests, experience the ultimate in club access and luxury from your clifftop perch at Serene Lounge by Club InterContinental. 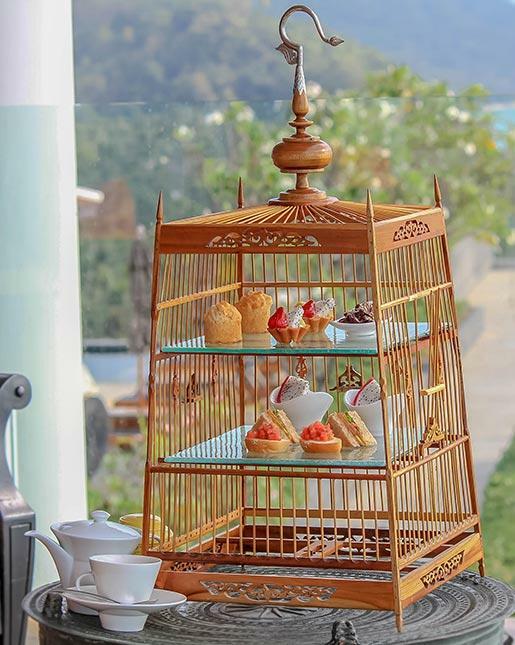 Take in the unbelievable view while you savour light refreshments throughout the day, a deliciously sweet afternoon tea and sublime cocktails while you watch the most spectacular sunset in Samui. Relax with friends and family, or bring a book and spend the spend the afternoon gazing out to the ocean between chapters and bites of delicious treats. A wide variety of international and local breakfast specialties in buffet style. • An additional invited guest of yours is welcomed to experience Club InterContinental Lounge for breakfast, afternoon tea or evening cocktail at no charge.